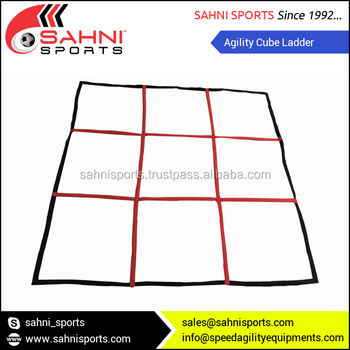 Cube agility ladder for various types of drills. It forms 3 x 3, total 9 boxes. Each box is 50 x 50 Cm. Comes in carry bag and folds nicely.